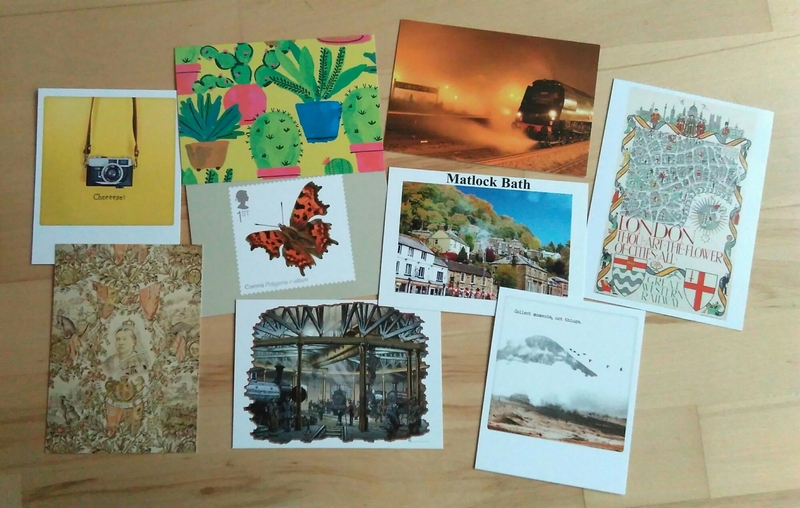 The instagram camera is off to a postcard pal in Turkey, the cacti are going to a postcard pal in Russia, the night train is travelling to China, the London railway map poster is going to South Korea, old Queen Victoria is headed for the Bahamas, butterfly stamp to Indonesia, Matlock Bath is off to Luxembourg, the Derby Roundhouse illustration is going to Australia, and the mountain view is for a postcard pal in Hong Kong. And now I’m off to post them all! This entry was tagged post, Postcards, snail mail. Bookmark the permalink. I love the cacti card!